Customizing your Android smartphone without the without rooting is one of the best reasons to love Android. You can instantly change the look and feel of your device in countless ways using some of the best Android launchers available. Personalize your Android experience from changing wallpapers that include different animations and graphics to installing custom widgets. Customization is pretty much the single greatest added advantage over iOS where you can improve the interface and make it completely look different by using different custom ROMs as well. Google Play offers a wide variety of launchers that adds spice to your Android home screen with their distinct features and looks. Here are some handpicked Android launchers available straight away on the Google Play store for devices running Android 4.0 or higher. 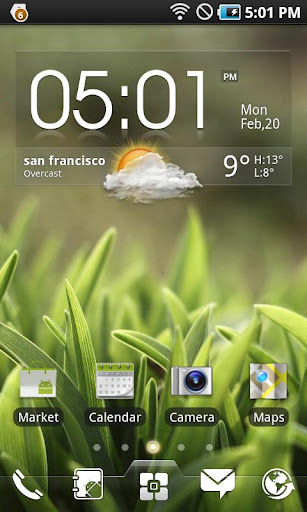 Apex Launcher offers its users an easy way to customize their home screen close to that of Jelly Bean. If you don’t want that Jelly Bean aesthetic but still would like to give your phone a complete makeover we recommend it. It is super fast, powerful, and offers large number of customizable options including up to 9 home screens, themes and gestures. The paid version of this app gives you an added advantage of features over the basic version that is available for free. The features include altering the size of icons as much as 150 percent to as little as 50 percent. Its customizable options can be applied even to the app drawer as well as to the dock. The paid version offers different transition effects for home screen and app drawer like tablet, cube in, cube out and card stack. Apex Launcher has lot many tweaks similar to that of Nova Launcher offering slightly better performance, backup and restore. Bazooka is an extremely stable launcher and offers a brilliant experience without making you compromise on speed and responsiveness. Coupled with the features and stability of Trebuchet, Bazooka uses the Stock Android look and feel. You can modify lockscreen, perform swipes and directly access contacts, messages, camera etc. It offers a huge catalogue of downloadable themes and provides you with smooth transitions and animations supporting multiple gestures. Bazooka lets you resize any widget and supports both 4×4 as well as 5×5 grid sizes. Other key features include transition effects for both home screen/drawer, hiding apps from your drawer which are no longer in use and availability of large number of beautiful MIUI themes to an extent. EZ launcher is a terrific home replacement app that offers you the most convenient way to operate and organize your phone. It comes with a preloaded app manager tool with functions like uninstaller, app2sd, etc., everything at one place. Its auto category option helps you to automatically categorize your apps. Calendar Widget, Task Manager Widget, SMS Widget, Bookmark Widget etc., are some of the useful and handy widgets that come along with this launcher. Quick app search to find the app you want in app report right away. This also helps in providing 24*7 tech support through INFO LINE Party. If you are searching for the best user voted Android launcher your search ends here. Download the app right now from Play Store to enjoy 10,000+ themes and to experience the super fast and smooth operation of a powerful 3D core. You can control your Android phone in ways like never before with a great personal user experience. Key features like smooth flipping operation, various GO widgets, efficient and strong app management function are some amazing custom features. There are no sponsored ads or messages and other pro features include multi touch to enable quick access of the core functions. 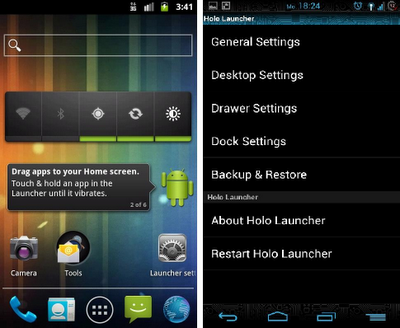 Holo application suite brings Jelly Bean Launcher features and has been one of the most favored launcher by users for quite some time. 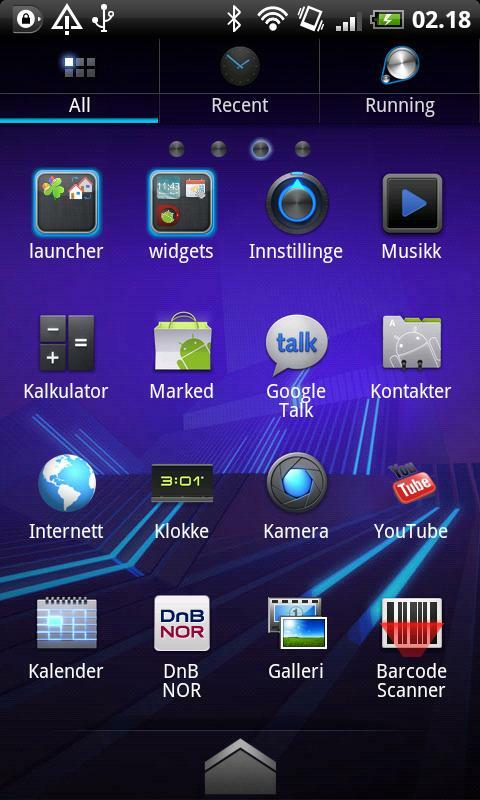 It is packed with goodies and its features are available on stock Android or JB Launcher for free. The infinite home screen rolling, a scrollable dock, best customization features, gestures, ADW icon pack & LauncherPro icon pack support and good backup & restore are the key features available in this suite. Added advantage is that this app has a Plus variant that boasts of an extra few perks unlike every other launcher. 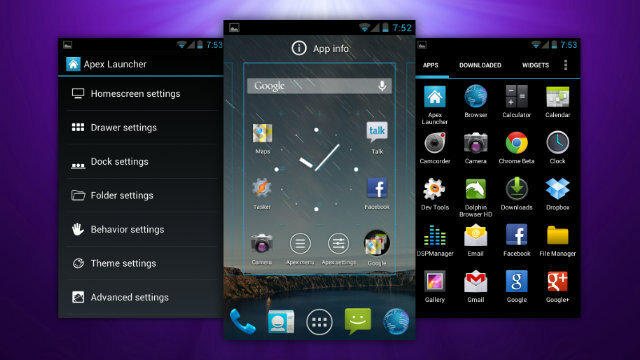 Nova, Aviate, Themer are some of the best Launchers recommended for devices running Android 4.0 or higher versions. It is simply quite overwhelming to suggest the exact Launcher for your phone as the experience mostly depends on your comfort. Do share with us your experience with your favorite Launcher via comments.